I was saddened to hear of Saturday’s passing of actor James Garner (who by the way is not related to actress, and Ben Affleck’s wife, Jennifer Garner). I once saw James Garner, but only briefly, back in the early 70’s on a Hollywood street. He was a huge iconic symbol of days gone by as I watched him as a young boy on the TV series “Maverick.” Then later came the movie. This was back in-the-day when TV Westerns were all-the-rage and poker’s long-storied past was ripe with rough-edged characters with a prowess and aptitude toward loose women, hard-drinking and gun fighting. Anyone in those days of my youth who played that game was just like them… degenerate low-life gamblers! But the cool, good-natured and likeable Bret Maverick helped to change that image and things are far different today while yet another of my generation’s greatest actors is sadly gone. There’s a reason the man James Garner was one of the first inductees into the Commerce Casino World Poker Tour Walk of Fame. He was a positive influence in the games rising popularity and a regular poker player himself at both Hollywood home games as well as appearances in Las Vegas at the World Series of Poker. 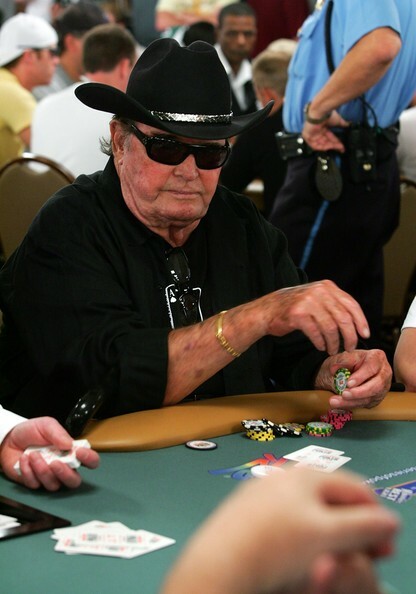 The world nor poker will ever again be the same without James Garner… but there will always and forever be Bret Maverick!